Here are the 12 cities the Justice Dept. is helping with violent crime | Circa News - Learn. Think. Do. The Justice Department on Tuesday announced a new plan to battle violent crime, pledging to give more federal resources to 12 cities struggling with the problem. Attorney General Jeff Sessions said the initiative would aim at lowering drug trafficking, gang violence, and gun crime, according to CNN. 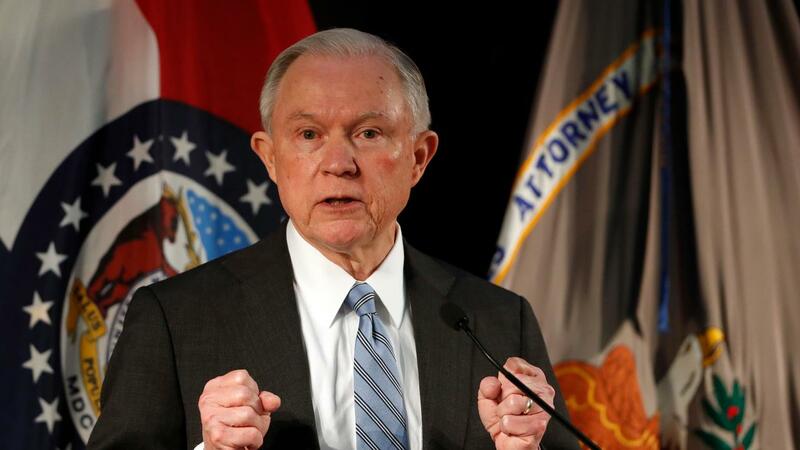 “Turning back the recent troubling increase of violence crime in our country is a top priority of the Department of Justice and the Trump administration, as we work to fulfill the president’s promise to make America safe again,” he said. The program’s initial participants reportedly include Birmingham, AL, Indianapolis, IN, Memphis, TN, Toledo, OH, Baton Rouge, LA and Buffalo, NY. Other cities affected are Cincinnati, OH, Houston, TX, Jackson, TN, Kansas City, MO, Lansing, MI, and Springfield, IL. Rep. David Kustoff (R-TN) on Tuesday voiced gratitude that the DOJ’s program would help two cities in Tennessee. Rep. Bob Latta (R-OH) also praised the program, which is called the National Public Safety Partnership, in a statement on Twitter. “It goes without saying that violent crime is a problem that many communities grapple with,” he said in a statement. The program will reportedly assist local law enforcement and prosecutors in participating cities, in part by providing “diagnostic teams” to access the factors driving local crime.